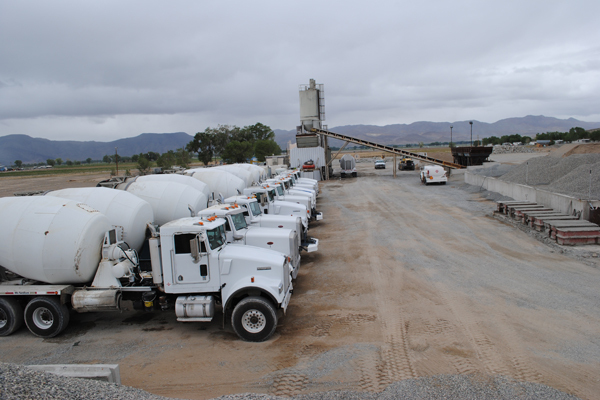 We have a Concrete Batch Plant that can comfortably furnish 200 yards per hour. Our Batch Plant is completely automated with state of the art Command Alkon. Our Batch Tickets have target and actual weights usually within one percent of tolerance. All add mixtures are added by our computer controls. We also have the delivery capacity required for the delivery of 200 yards per hour. We have mix designs for ¾ inch nominal 3000 PSI and 4000 & 5000 PSI, and shotcrete. We are also a distributor for Euclid Chemical which manufactures many additives directly related to mining operations.